Vintage Guilloche Horseshoe Charm Bracelet. 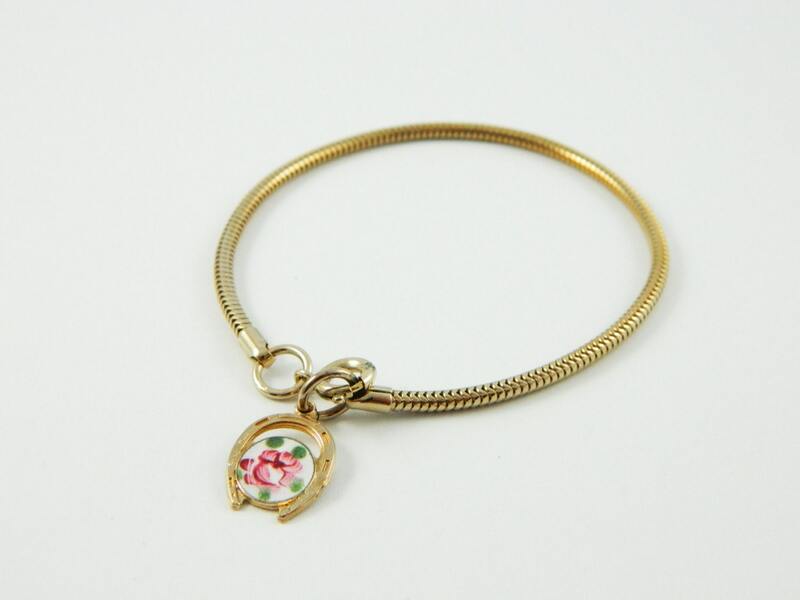 Gold Horseshoe Rose Charm on a Gold Plated Snake chain. 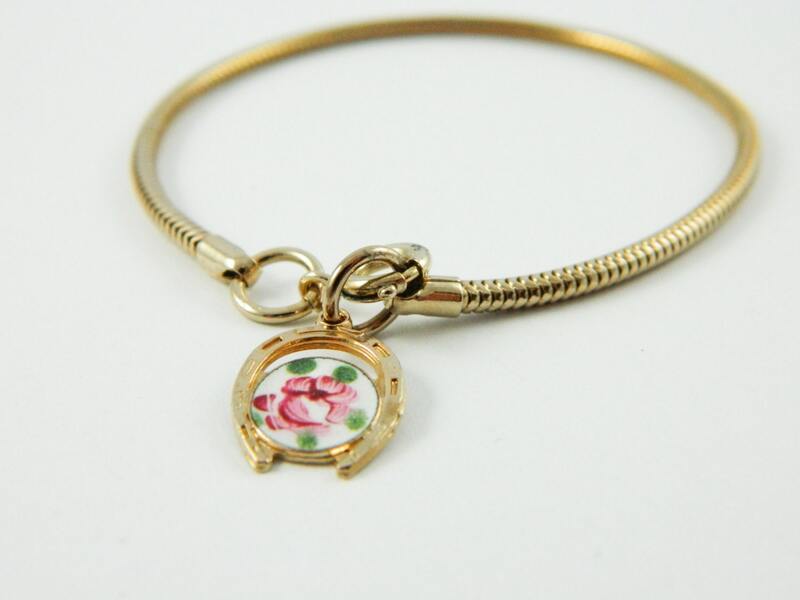 Charm Material: Enamel and Gold Plated Brass. Chain: 7” Gold Plated Brass Snake Chain with Spring Ring closure.